Mr Robert Martin has more than 30 years of experience in the aircraft finance and leasing business. 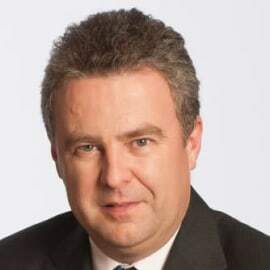 He joined the Company in 1998 and over the last 20 years, has led the organisation through a successful expansion programme which has seen it emerge as a consistently profitable and leading player in the global aircraft leasing business, and successfully achieving a public listing on the Hong Kong Stock Exchange on 1 June 2016. Mr Martin began his career in aircraft financing in London with Bank of America in 1987. He subsequently held senior positions in both London and Singapore with The Long-Term Credit Bank of Japan, Ltd. before moving to HSBC Investment Bank in Hong Kong where he held the position of Aircraft Finance Director. In addition to his role as Managing Director & Chief Executive Officer, Mr Martin holds a seat on the Board. Mr Martin is now one of the longest serving CEOs of the same company in the aircraft leasing industry. Mr Martin holds a Master of Arts degree in Economics from Cambridge University. He is a Fellow Benefactor of Selwyn College, University of Cambridge.